Home / Archive by category "Wheelchairs"
A big thank to all our volunteers, friends, partners and champions. Because of you, our Foundation raised and spent more than $34,000 for the wheelchairs project in 2017. We shipped a 40 FT container and successfully delivered wheelchairs as well as other donation items in 6 provinces (Littoral, Centre, South, South-West, West-North West) and in more than 25 cities, villages and communities of Cameroon. 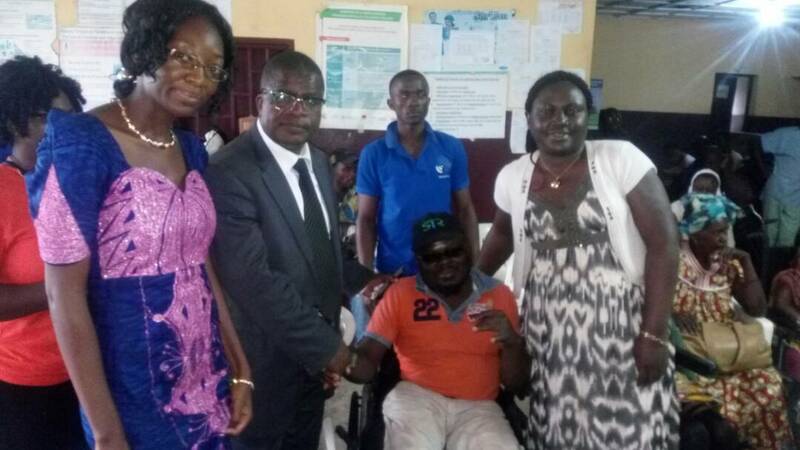 We distributed more than 200 wheelchairs to 23 Hospital and Health Centres, and to 95 individuals with disabilities. We provided more than 500 T-Shirts to 14 orphanages in 10 cities. We distributed 110 jackets to 110 individuals in need. We donated 540 nursing books to two nursing schools in the South West and North-West. We provided more than 750 books to three elementary schools in the West and Centre. We delivered 17 desktop computers to establish our first multimedia center in order to train youth from poor families and communities. We contributed and made a positive difference in more than 3,000 people’s lives in Cameroon.